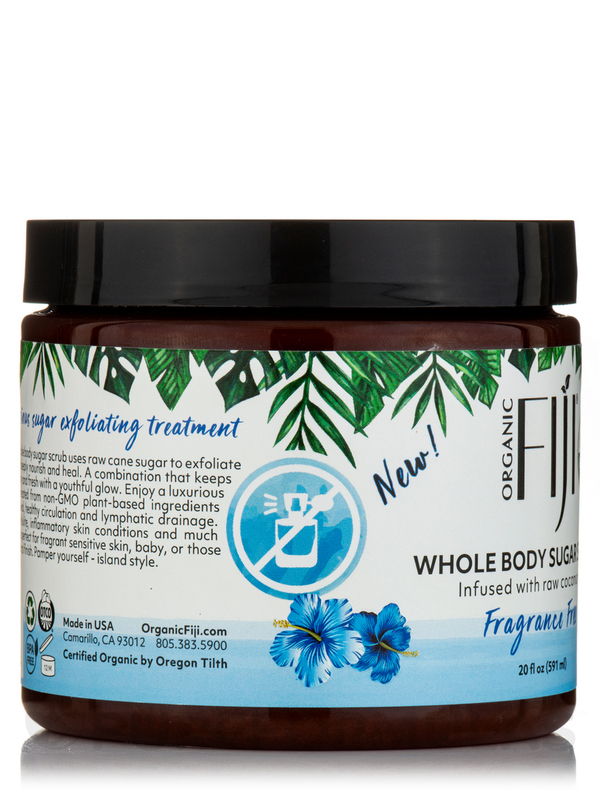 I purchased Certified Organic Skin Polishing Exfoilant by Organic Fiji and sugar scrub because of the organic ingredients. I also like the fact it contains only 2 ingredients. Good price for a 20 oz ! 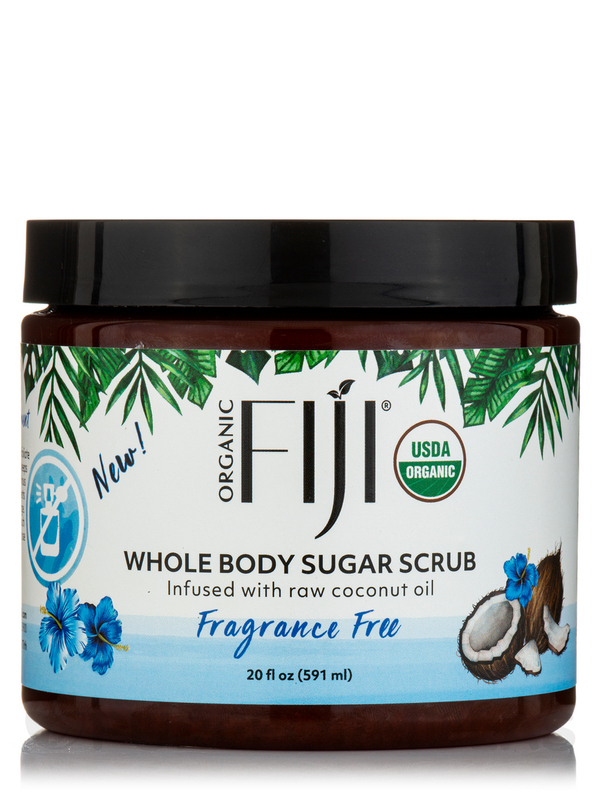 This blend of organic coconut oil and organic cane sugar will gently lift away aging skin cells‚ replenishing your body to a healthy‚ radiant glow. 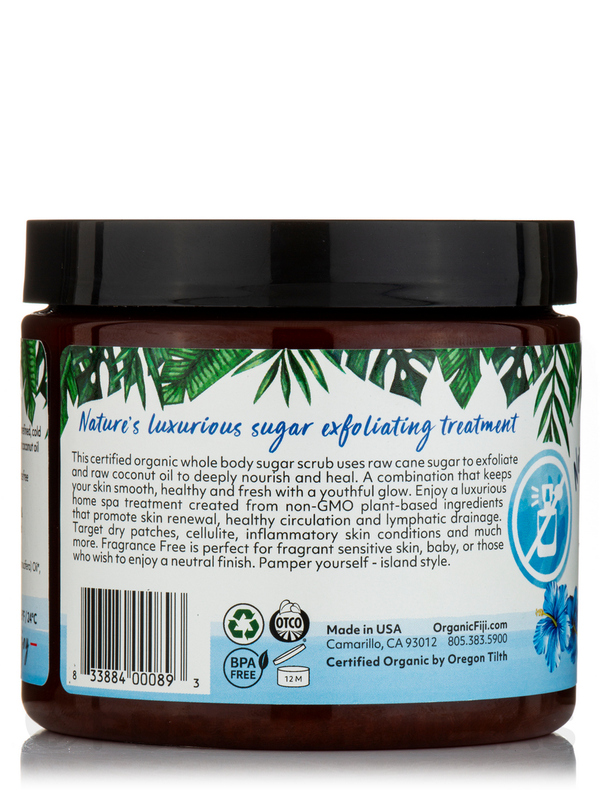 Naturally exfoliate‚ detoxify and unclog pores‚ capturing the silky smooth‚ deeply moisturized and replenishing feel your skin deserves. Fragrance free offers you nature's exfoliant in its purest form. Great for sensitive skin. 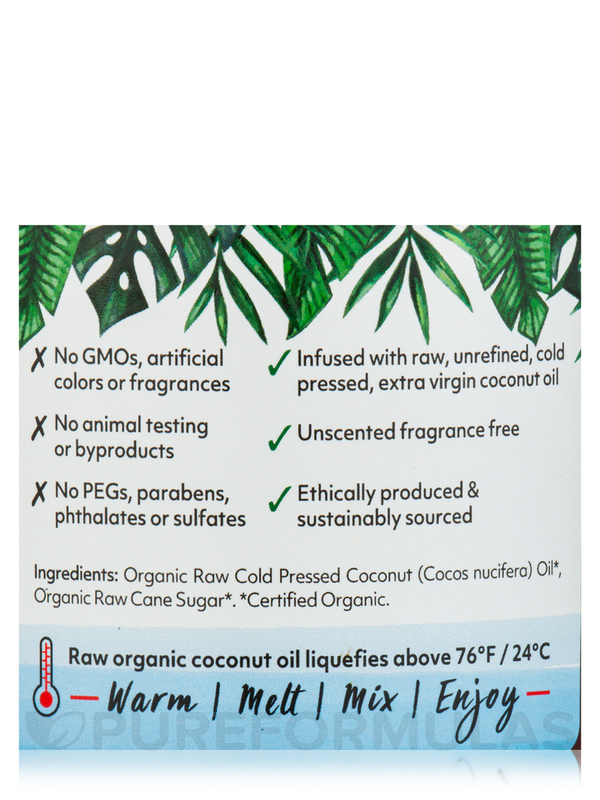 Cold pressed coconut oil*‚ cane sugar*. *Certified Organic to the USDA National Organic Program by Oregon Tilth. Made in the USA / USDA Organic. 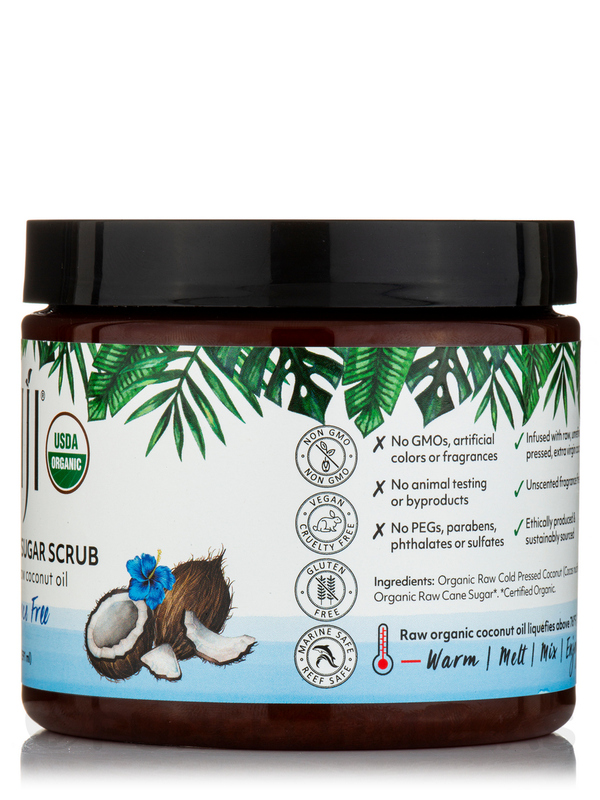 In a bath or shower‚ apply the desired amount of sugar scrub onto skin and massage in a circular motion. Gentle enough for everyday indulgence. 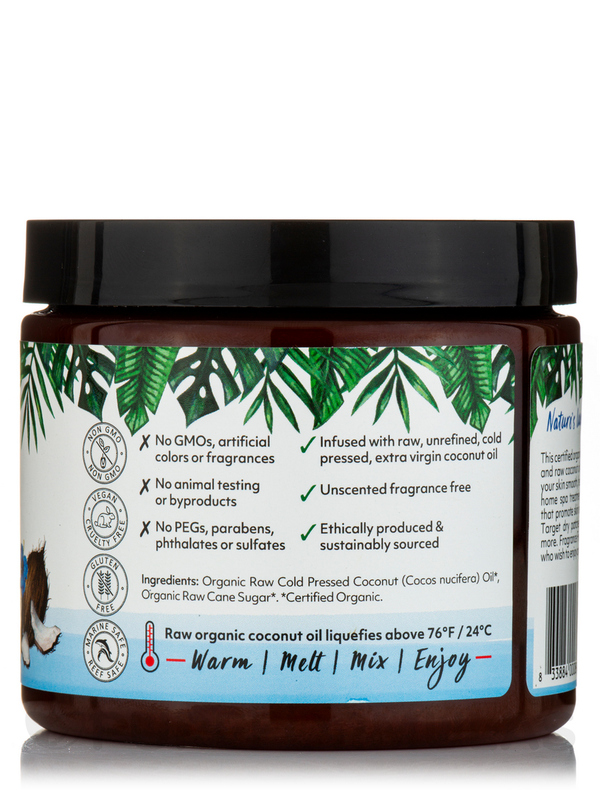 Organic coconut oil solidifies under 76 F / 24 C. Place sealed container in warm water to liquefy. Essential oils are slippery on wet surfaces. I like the organic ingredients!